Planning trip to Kinnaur Valley in Winters? Continuing on towards laying the foundation of comprehensive Travel Guide for Spiti Valley and as discussed in the last article about Hindustan Tibet Highway, first let’s cover the lower Kinnaur Valley in depth before going further towards upper Kinnaur Valley and Spiti Valley. The lower part of Kinnaur Valley is also very much visited by many people during summer time due to ease of accessibility from Shimla/Delhi/Chandigarh and less crowd or offbeat location. By lower Kinnaur, I mean that I will be covering Kalpa, Sangla Valley and Chitkul in this travel guide and maybe upper parts like Nako, Chango, Ropa, Hangrang can be covered in time to come, if required. What is the best time to visit Kinnaur Valley? Love food on Kinnaur road trip? This adds just the right charm of adventure on the trip. In winters, the presence of snow makes it just a jaw-dropping experience to be in Kinnaur Valley where the major attraction is the breathtaking view of Kinner Kailash, a mountain sacred to Hindus, close to the Tibetan border. The beautiful meadows in Sangla or Baspa Valley and Chitkul which is considered the last village in India where one can reach from Kinnaur side, are also covered commonly on a trip to this part of Himalayas. Kinnaur Valley is located in the Northeast corner of Himachal Pradesh about 235 KMs from the state capital, Shimla. The distance of Delhi to Kinnaur Valley is about 570 km considering Reckong Peo. It makes Kinnaur Valley not so far from civilization yet so raw and offbeat. In general, people face AMS issues if they spend second night directly at Chitkul. Hence, it is always recommended to spend a night in Sangla or Kalpa before sleeping overnight at Chitkul. Majority of the year Kinnaur weather is mostly cool to cold. Even in the summer months, you can feel the coolness in the breeze especially in the morning and evening. 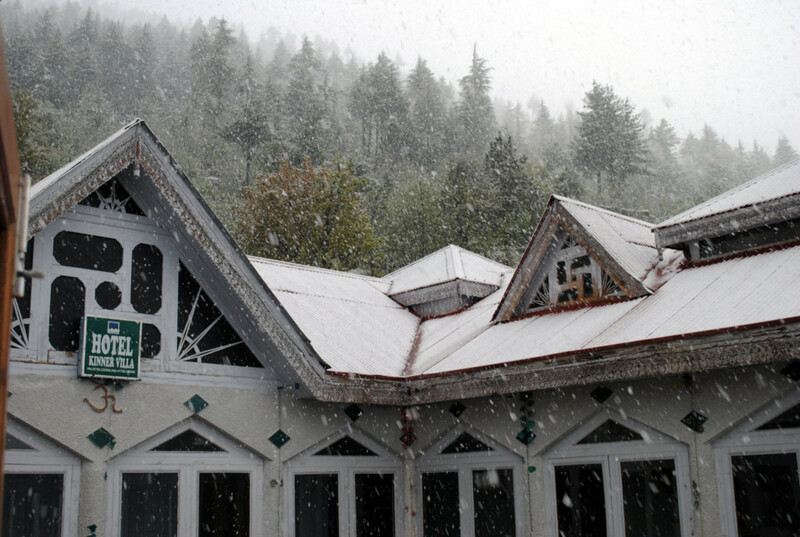 You will find snowfall in Kinnaur in winter months and a few feet of snow being a common phenomenon. 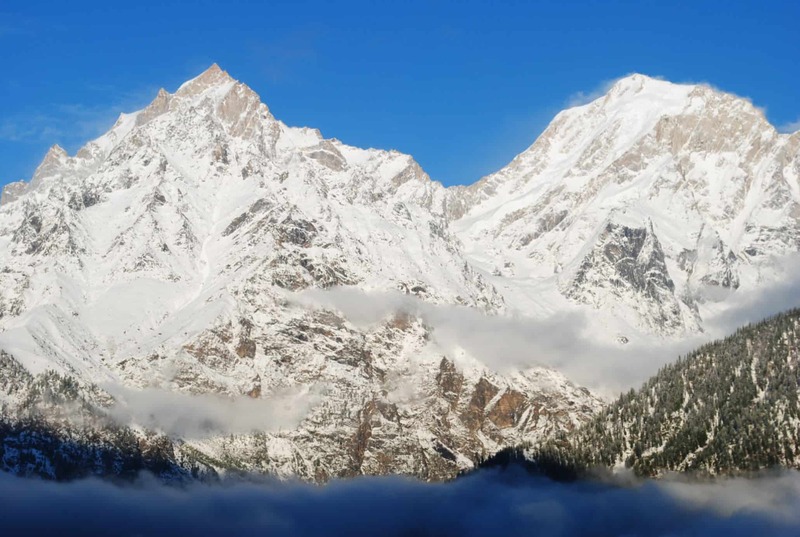 In summer months, the temperature in Kinnaur revolves around 15-25 degree Celsius. Come July – August, the rain begins to play spoilsport with landslides and road closures getting common. When you visit Kinnaur in winter months, you must prepare very well with heavy woolen clothing. Many hotels remain closed in most parts of Kinnaur Valley. The road to Chitkul closes down in the month of January and February. In fact, it can open anytime in December. 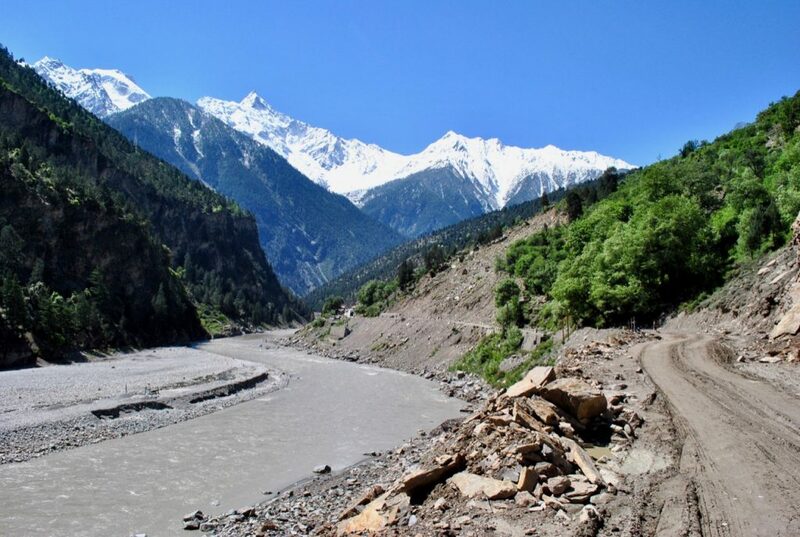 Roads to Kalpa and Sangla also closes in between intermittently but as soon as bad weather settles, authorities open up the road connectivity to these tourist destinations in Kinnaur Valley. The snow starts to melt in March and the closed roads within Kinnaur Valley, like the road to Chitkul, starts to get open to welcome tourists. The heat starts to rise as we approach the summer months after spring in Kinnaur. There is a heavy tourist rush from April end to June – July period. Once you get into the last week of July, monsoon lashes Northern parts of India. The road journey to Kinnaur becomes problematic. Monsoon is one of the worst time to visit lower hills in the Himalayas including Himachal. And then, combining rains with fragile mountains of Kinnaur Valley, it becomes a deadly combination. Hence, I strongly feel that Kinnaur is not the place to be in monsoon. The entire Kinnaur region is very fragile and road closures are pretty common. Once the rain goes away, the apply harvest season begins in Kinnaur Valley from late August to September. 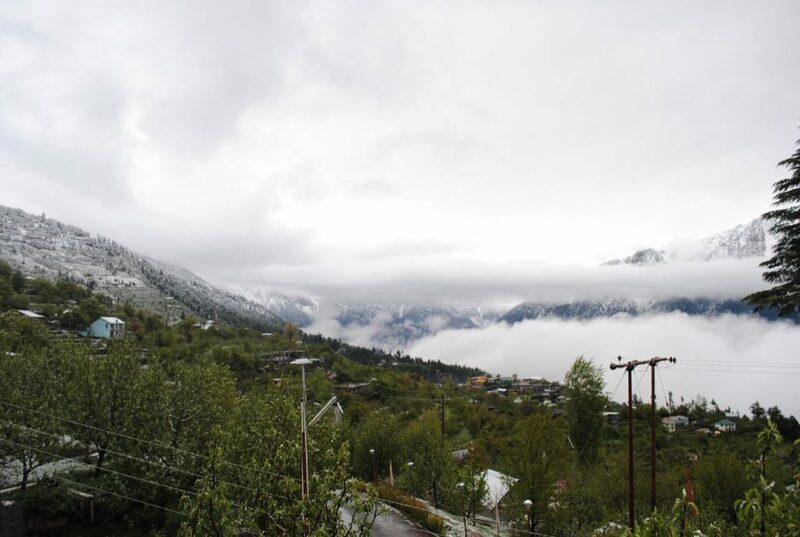 It runs up to middle of October in upper parts of Kinnaur Valley. I do feel that it becomes one of the best time to visit Kinnaur because even the roads are dried up and much better in road conditions including stability. In November, the temperature starts to go toward sub-zero conditions and water in pipes starts to freeze at night. The winter chill is definitely there to welcome you. You can visit this beautiful valley throughout the major part of the year but in winters things get very tough and heavy snowfall makes it inaccessible sometimes too. But, apart from peak winters in Kinnaur Valley, including Kalpa and Sangla Valley, Kinnaur can be visited throughtut rest of the year without much fuss. It is important to note that monsoon is not the right time to be in Kinnaur Valley due to common landslides and worse roads, so in any case avoid monsoons My favorite time to visit Kinnaur Valley is Autumn or Fall, when monsoon just resides away and you might still see some apple orchards loaded with apples with clear skies in the background. 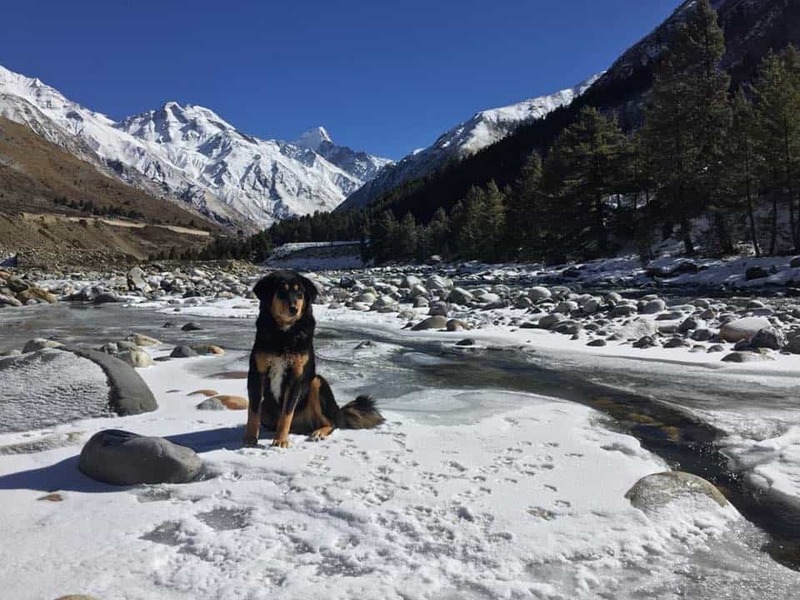 Also, please note that Chitkul becomes inaccessible at the time of peak winters, so please avoid going there in late winters without knowing the weather conditions. One snowfall can trap you for months in Chitkul :)… In case you are going in Apple Season, that is around Late July or August in Kinnaur Valley then be ready for a massive mess of trucks traffic too along with rains and landslides. Travel Tip: Read my detailed article on best time to travel to Kinnaur Valley. 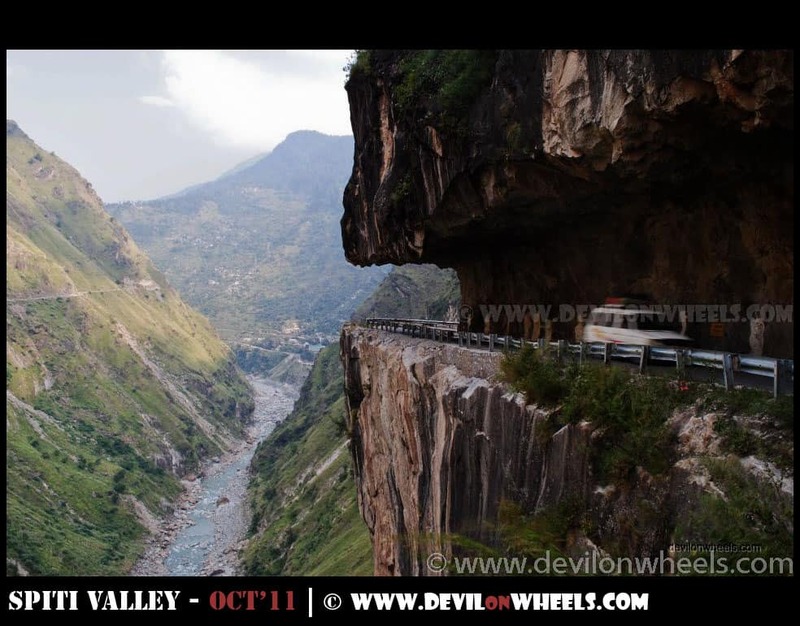 Below is the most general route to Kinnaur Valley from Delhi that most people usually follow. You can reach Kinnaur on the second day with an overnight halt at Narkanda or anywhere away from Shimla or Chail. However, if you are visiting Manali, then you can travel to Kinnaur Valley from Manali as well via Jalori Pass or the longer Spiti Valley route. The route to Kinnaur Valley from Delhi via Shimla runs along the Hindustan Tibet Road or NH-05 (previously called NH-22). 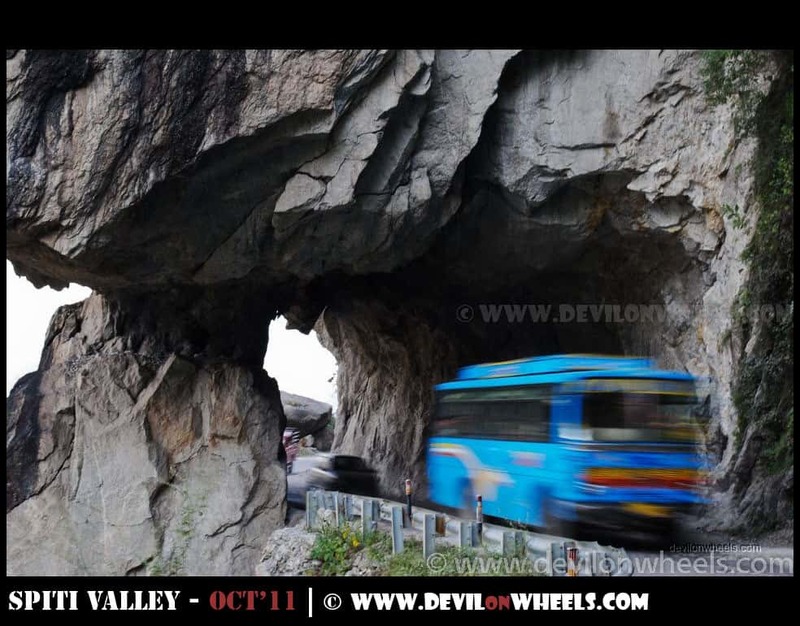 You will be traveling on one of the most treacherous roads as soon as you enter Kinnaur Valley. The sense of adventure is purely bliss and in case you drive yourself, you will enjoy the offroading in some sections of Kinnaur. At Karcham, the road bifurcates towards Sangla Valley and Chitkul as per below distance between these places. You will reach Kalpa or Sangla on this road trip to Kinnaur Valley in minimum of 2 days from Delhi. Mostly, Narkanda or somewhere near between Shimla / Chail – Narkanda is an ideal overnight halt to evenly distribute the journey. If you are starting from Chandigarh, you can considering taking a overnight halt at Sarahan as well. The road to Sarahan bifurcates from Jeori which is 23 km from Rampur. The distance from Jeori to Sarahan is 12 km only. Also, a pit-stop-must is a makeshift dhabha of sorts right after Jeori – Sarahan diversion where an old lady serves lip-smacking Rajma Chawal. Yes, the hygiene is slightly questionable, but it is a dhabha after-all! The taste is unbeatable. Rs 50 for an unlimited plate of Rajma Chawal – sign me up! Apart from that Annapurna dhabha nearby it also is pretty famous for Rajma Chawal too. You can travel to Kinnaur Valley from Manali well. There are two routes that exist. The shorter route that goes from Jalori Pass – Rampur and the longer route in which you travel from Rohtang Pass – Kunzum Pass route while making a Spiti Valley trip from Manali side. The distance from Manali to Kinnaur via Jalori Pass route is 310 km and will take 12-15 hrs. This route will merge at Rampur on Hindustan – Tibet Highway and then follows the route via Shimla to Kinnaur. It is recommended to stay overnight at Jalori to break the journey evenly. If you travel from Spiti side, then it is better to explore Spiti Valley and then travel down to Kinnaur. The nearest airport to Kinnaur Valley is at Shimla, about 220 km away. If you are traveling from Manali side, then you can get down at the Bhuntar Airport which is near Manali. Bhuntar is approximately 245 KMS from Reckong Peo, the center of Kinnaur. However, due to their small size, these airports have limited capacity and connectivity. Chandigarh Airport lies approximately 340 km. Hence, Chandigarh is the best place to start the journey to Kinnaur Valley if you are flying from any other part of India than Delhi or other Northern states. Shimla is the nearest railway station. However, this would also have limited connectivity. My suggestion would be to have your endpoint of the railway journey as Chandigarh, which is well connected throughout. Reckong Peo is well connected with Chandigarh and Shimla by direct buses run by HRTC, the state bus department of Himachal Pradesh. 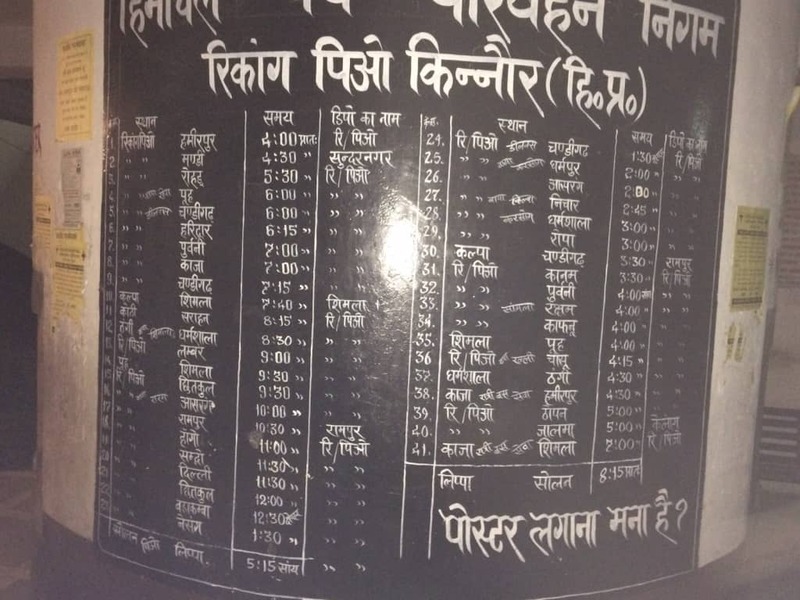 There is an overnight bus from Chandigarh to Reckong Peo and one bus leaves Shimla around 11 AM. Once you reach Reckong Peo, you can travel to Kalpa, Sangla, and Chitkul by connecting buses within Kinnaur Valley. Reckong Peo is also connected by a daily morning bus from Kaza in Spiti Valley as well. So, you can travel from Spiti to Kinnaur as well by public transport. You should look more details in the article on how to visit Kinnaur by public transport. You can avail private taxis for trips to Kinnaur Valley from Shimla taxi stand. These taxis can also come to Chandigarh or New Delhi for a pickup. I always recommend traveling with local drivers or taxis in remote regions of the Himalayas like Kinnaur and Spiti. 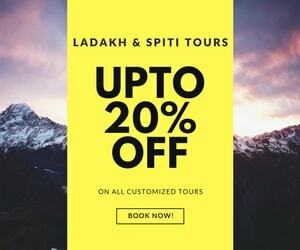 You can always get connected with local taxi drivers in this list of taxi drivers in Kinnaur and Spiti Valley. Hiring a private taxi for a Kinnaur road trip may cost you about Rs 25000 for 7-8 days. In general, these local drivers charge from Rs 3200-3500 per day for taxi charges which includes everything including their own stays and food. The prices will come down if you’re traveling in a group. 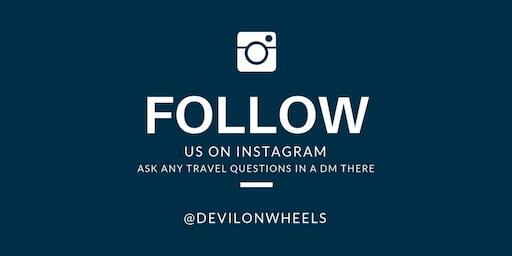 You can also book self-drive cars from Delhi or Chandigarh to plan a road trip to Kinnaur as well. The higher ground clearance vehicles are preferable and 4×4 ones not required. However, quite a few people make a trip to Kinnaur Valley in hatchbacks and sedan cars as well. So, it all depends upon your skills to drive and the road conditions at the time of travel. You can always refer my list of top 40 things to carry on a self drive trip to Kinnaur. I mostly recommend people to spare at least 7-8 days to plan a relaxing trip to Kinnaur Valley. This will help you explore the beautiful places on Hindustan Tibet Road as well as relax in the enchanting and peaceful villages like Kalpa, Sangla, Chitkul, and Sarahan. If you are not one of those who visit places to tick them off from bucket lists, then you can refer my article on Kinnaur Valley – Most Common Itinerary for a detailed plan. I have highlighted the high level day by day trip plan from Kinnaur below as well. There are many accommodation options available at Reckong Peo, Kalpa as well as Sangla Valley and Chitkul. Many of them are good enough to cater to the varied needs of budgets among people. There are economic guest houses or homestays which are cheap enough to keep your money saved. But, there are other luxury properties as well which provide the comfort and facilities if you are looking forward to them. Most of the time you will be eating out in Hotels or Camps or Guest Houses or Homestays you will be staying in Kinnaur. However, there are dhabhas or eating joints on the way to Kalpa or Sangla from Shimla which you can use for in between meals. Do not forget that famous “Last Indian Dhabha” in Chitkul. Once you enter the gate of Kinnaur Valley, the daunting mountains welcome you and a kind of an adventure begins. The drop around the roads gets higher and higher. The roads start to deteriorate and soon becomes a dirt track. Each and every tourist attraction places in Kinnaur is much closer to nature than being commercialized towns of lower Himachal. You can plan a trip to Kinnaur Valley where you can try and explore the following places in or around Reckong Peo. About 120 odd KMs before the Indo-Tibet border, lies one of the most beautiful and romantic valleys in Kinnaur district of Himachal Pradesh, Sangla Valley or otherwise also known as Baspa Valley which houses a major village by the name Sangla. Sangla is about 16 KMs diversion towards right from Karcham which is at Hindustan Tibet Highway going towards Kaza from Shimla Sangla Valley is surrounded by thick forest slopes and offers lovely views of the high mountains surrounding it. Recently, various beautiful meadows in this valley (such as Rakcham meadow) have become very popular among shooting various film scenes and advertisements too. You can read our detailed travel guide of Sangla Valley. About 28 KMs away from Sangla Valley at an altitude of 3450 Mtrs and on the banks of Baspa river there lies the last inhabited place in India before the Indo-Tibet border named Chitkul. The magical beauty which this village offers is unmatched and incomparable. Chitkul remains closed in winters and is extremely famous for its potatoes in the whole world which are extremely costly as well. You can read our detailed travel guide of Chitkul Village. About 2-3 KMs away from Sangla Valley, there is a famous 1000-year-old Kamru Fort considered to be one of the oldest forts in Himachal Pradesh. Do check out when you are in Sangla Valley. There are loads of trails in these apple orchards which can be hiked around while your stay in Sangla Valley. There are some lovely meadows too (one near Rakcham village as I remember) as well which can be visited or spent the time to bask in the lap of pristine mother nature. You can also for an easy 3-4 Hrs hike to the Glacier point if you are interested in some snow play. 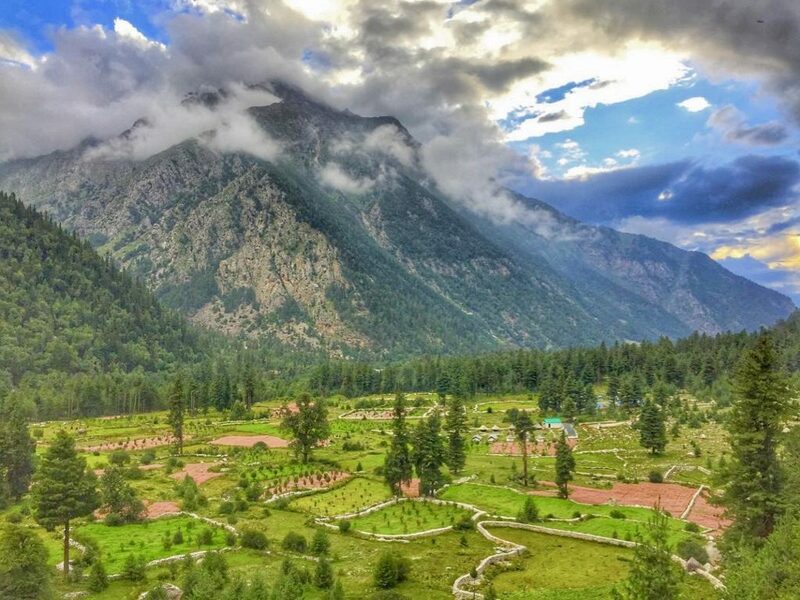 Batseri village to Sangla Village walk of about 12 KMs through dense Cedar forests is also quite famous among people who love being midst nature and actually feel it. There is a Trout Fishery Farm on the other side of Baspa River near Sangla Village too which is nice to visit and can be covered in this walk itself. What better having a trout for yourself and later barbecue it over campfire in the evening 🙂 !! Kalpa is one of the best places to see sunset and sunrise in the Himalayas over Kinner Kailash range. Kalpa is about 8 KMs from Reckong Peo, district headquarters of Kinnaur Valley which in turn is about 7 KMs diversion from a place called Powari on Hindustan Tibet Highway. 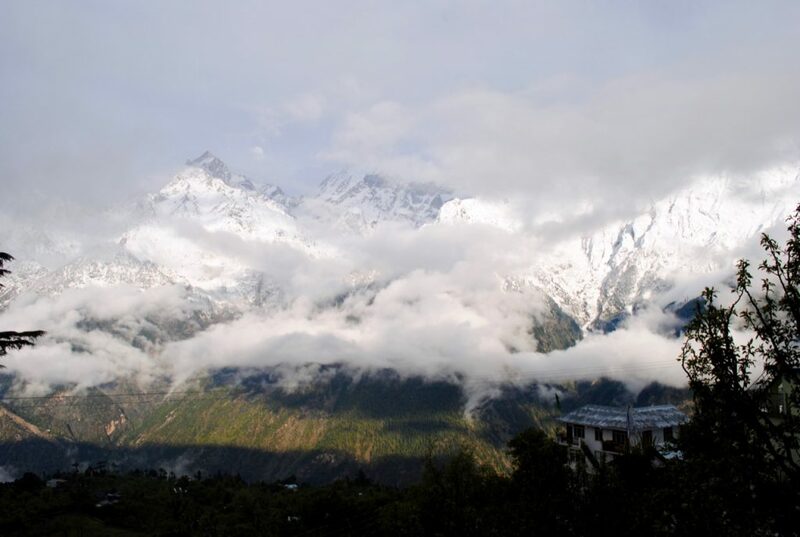 The place is just majestic and the views of Kinner Kailash range from almost any of the hotel at Kalpa would just make your jaws drop at any day. I never thought that it would be that beautiful what I witnessed after reaching this lovely place. We were extremely lucky to witness such fantastic weather at such awesomely beautiful location in Kinnaur Valley. You can read our detailed travel guide of Kalpa Village. It is about 6-7 KMs from Kalpa and is known for its traditional lifestyle of Himachal surrounded by apple orchards. Very nice place to have a short hike or walk across the village from Kalpa. You will almost feel you are in a time machine and somewhere in past if you really spend some time here in this village. Just 3 km from Recong Peo, this village has a Chandika Devi temple which has an unusual architectural style and fine sculpture set amidst a picturesque mountains backdrop. In case you need any kind of medical assistance in Kinnaur, there is a one district hospital at Reckong Peo, being the headquarters of Kinnaur Valley. There is a local hospital at Sangla village too being the biggest village in Baspa Valley. Next help for anything major will be available in Shimla. Most of the mobile phone services connections work in Reckong Peo, Kalpa as well as Sangla Valley with best being Airtel. However, as you go ahead towards upper remote parts of Kinnaur like Nako, Puh, Chitkul etc. then best option will be to carry an MTNL/BSNL prepaid/postpaid connections which always has maximum coverage in Himachal Pradesh. Vodafone did have issues with some connectivity at times. Having said that, lower Kinnaur Valley does not have any major phone connectivity issues. About 10 KMs from Kalpa, you can find the nearest petrol pump at Reckong Peo. There was one more fuel pump at Powari which is on Hindustan – Tibet Highway when you move from Reckong Peo back towards Shimla which is about 30 KMs from Sangla Valley. I am not sure if it is still functional though on my recent trip to Spiti Valley in the first week of May 2013, Powari fuel pump was not functional. There has been one fuel pump which is fairly new that I saw at Tapri and it is true as of 2019 as well. Best thing is to top up your petrol or fuel tank at Narkanda which is fair in terms of quality as well OR the last petrol pump in Rampur that comes on the right side while going from Shimla side. There is an ATM as far as I know in Sangla Valley. Otherwise, you will find one for sure at Reckong Peo about 8 KMs away from Kalpa and 38 KMs away from Sangla. However, whenever I travel to such remote vllages of the Himalayas, it is important that you carry enough cash with you for emergency situtions without relying on credit or debit cards. Kinnaur Valley is one of such secluded and untouched places in Himachal Pradesh where people must go over and enjoy raw nature in its purest form. It is a perfect place for family vacation with lovely views all around and yes, a part of adventure too with rough roads. It is one of those places where the journey is itself a destination. You might opt it for your honeymoon destination in Himachal as well. If you have been to Kinnaur Valley, kindly share your thoughts and other information you might feel will be worth sharing with other fellow travelers and help them travel better. Finally, in case, If you know your friends or family are planning a road trip to Kinnaur, then do share this article with them to help them make a memorable trip as well. We are planning to visit Kalpa on 27th Sep to 30th Sep 18 from Chandigarh. Based on the current weather conditions is it ok to travel during this period? Also we have 3years old kid with us. Please suggest. Any updates on Chandigarh Kalpa route? My friend and I are planning to go to Chitkul in December first week. Extreme cold is not an issue but I would like to know if Chitkul is accessible at that time (considering roads and public transport). Chitkul might not be accessible during that time in general. However, past couple of years roads were open in December. I will recommend that you do not plan to stay in Chitkul during that time rather make a day trip from Sangla in case the road is open.